VIZO LUXON ADVANCED SD, 3.5 SATA hard drive external enclosure, is designed to be sleek and stylish, easy to use, and loaded with the advanced features you need to back up and transfer your data storage. 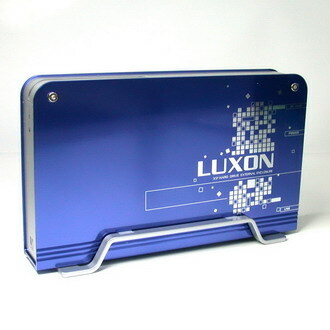 LUXON ADVANCED SD features high-quality mirror finishing aluminum case providing the best protection and excellent heat dissipation for your SATA hard drive. It comes with LED for status indication and USB 2.0 interface. Extremely easy to install and set up.